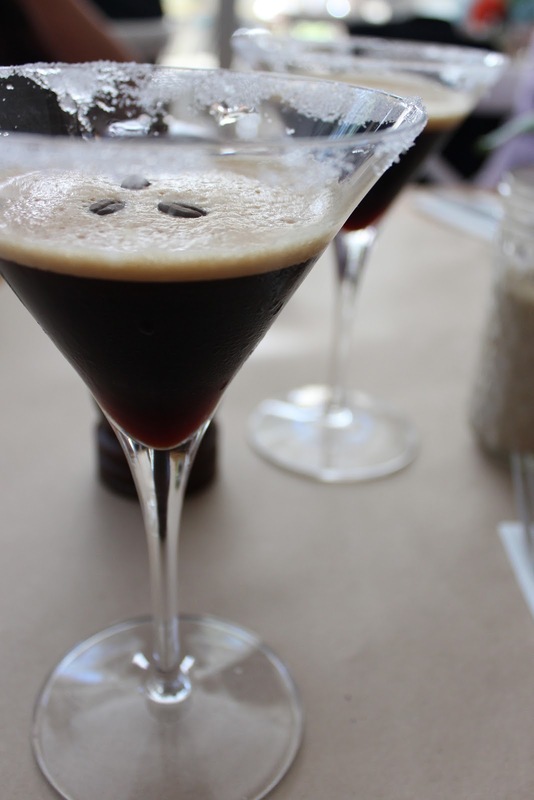 'Oh and an expresso martini for you Miss? Why yes please.' And that was the moment when I woke up that morning. It was strong but really good and it was just what I needed. If I started my mornings with one of those each day, I probably never make another single complaint about being tired plus also be considered an alcoholic. It was a drink that could cure all degrees of Mondayitis. There has been a lot of talk about Orto Trading Co recently so it was about time I checked out it myself. The set up of the restaurant is very cute, there are flowers in glass bottles almost everywhere and the place was filled with so much natural lighting. The decor was rustic but oh so pretty. This was my style of brunching. The breakfast platter at Orto Trading was one of the better ones I have had. It came with two soft boiled eggs, bruschetta fingers and a bowl of home made muesli with fruit. It was a refreshing breakfast platter and one that wouldn't leave you feeling gluggy and bloated in the afternoon. Plus it had oozy egg yolks, winning. I am normally not a person that orders muesli for brunch, only because it is something I have Monday to Friday as part of my 'strict breakfast routine'. This muesli though was very well designed. It wasn't overly sweet especially with both the dried and fresh fruits and there wasn't an excessive amount of yoghurt in it either. This pan of baked eggs reminded me so much of the one at Circa Expresso but this one had even more flavour. The only downside to baked eggs is that it is generally a more oily dish but hey, you know, it's brunch. Its the time where you unwind and treat yourself, especially after a hard week at work. The roasted capsicums and the oozy eggs went well with the sourdough. I wish they could of given us another slice of sourdough to balance everything out, especially as there was quite of bit of oil in that pan. Okay so you know how big of a fan I am when it comes to potatoes. I really don't need to explain my myself anymore. Anyways so these russet potato chips were i.n.s.a.n.e.. They were crunchy on the outside but soft and fluffy on the inside. They were slightly salty but once you dipped it into that aioli sauce, far freaking out, it was like potato heaven. They were so good that I didn't care how full I was going to be, I had to order another serving because one clearly wasn't enough. So if you are going to make a visit to Orto Trading Co, don't worry about how much of a food coma you are go to be in eventually, just make sure you order those potatoes. Dooo eeeetttttt. I didn't love the baked eggs here, but I had them without meat (which also makes it hard to compare to Circa). Must try the tatters next time and you should try the corn on your next visit. this place looks amazing and everyone is talking about it! Heading there shortly and looking forward to it, nom.